Manufacturing electronics is an ever growing field, with more demand now than ever as technology and electronics continue to shape our lives on a global scale. When it comes to the specific area of automotive electronics manufacturing, industry experts anticipate modest to strong growth through 2016. (Source: Automobile Electronics Manufacturing in the US: Market Research Report) As the industry grows, the need for an efficient, safe and controlled manufacturing atmosphere becomes more important than ever. 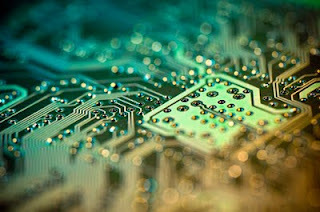 The use of Nitrogen gas during electronics manufacturing has become increasingly popular, due to its ability to maintain a clean, dry and inert atmosphere. Additionally, N2 gas can be used in more specific applications such as circuit board manufacturing and maintaining a controlled atmosphere for nanolabs. Using N2 gas in the production of these components allows the manufacturers to create products in a safe, controlled atmosphere. Nitrogen gas is clean, safe and inert, which helps maintain a controlled atmosphere and prevent oxidation. Oxidation is the chemical combination a substance with oxygen, often leading to corrosion reactions. To prevent such reactions and protect the integrity of the components, N2 can be used to purify and purge the manufacturing area, displacing the oxygen molecules safely. Because N2 gas is all around us, making up 79% of the air we breathe, the most efficient way to access the gas is with a Nitrogen Generator. 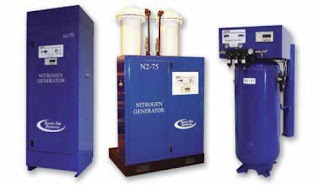 A Nitrogen Generator can effectively isolate the N2 molecules from the air for use in an atmosphere that requires little to no oxygen for safety or preservation purposes. In the automotive electronics manufacturing trade, oxygen must be kept to a minimum - or eliminated altogether - in order to successfully produce the necessary components. With a Nitrogen Generator, not only can manufacturers have high purity N2 on demand, they can also benefit from the long term savings of not having to switch out cylinders when the supply gets low. South-Tek Systems designs and builds high quality Nitrogen Generators for the automotive electronics manufacturing industry, as well as several other industries. Contact South-Tek Systems to learn how your business can benefit from having a Nitrogen Generator installed at your facility: 888-526-6284.